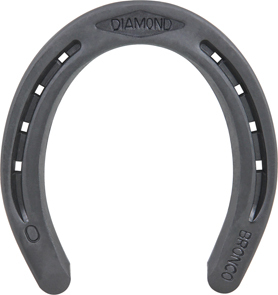 The Diamond Plain Bronco is a flat, 5/16” thick, creased horseshoe in one shape pattern (no front or hind), designed to fit both front and hind feet with little to no modification. Shoes are symmetrical. Punched for City or Slim blade nails.